We cannot have a world where one company can say, "I'm the only one who is allowed to have the solution for this common problem"
Apple won the patent case against Samsung and has been awarded more than one billion dollars in damages. You can read about the details over at MacRumors. Apple's response:"We are grateful to the jury for their service and for investing the time to listen to our story, and we were thrilled to be able to finally tell it. The mountain of evidence presented during the trial showed that Samsung's copying went far deeper than even we knew. The lawsuits between Apple and Samsung were about much more than patents or money. They were about values. At Apple, we value originality and innovation and pour our lives into making the best products on earth. 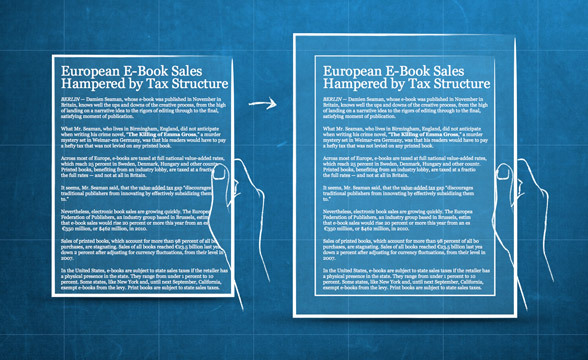 We make these products to delight our customers, not for our competitors to flagrantly copy. We applaud the court for finding Samsung's behavior willful and for sending a loud and clear message that stealing isn't right." Samsung's response:"Today's verdict should not be viewed as a win for Apple, but as a loss for the American consumer. It will lead to fewer choices, less innovation, and potentially higher prices. It is unfortunate that patent law can be manipulated to give one company a monopoly over rectangles with rounded corners, or technology that is being improved every day by Samsung and other companies. Consumers have the right to choices, and they know what they are buying when they purchase Samsung products. This is not the final word in this case or in battles being waged in courts and tribunals around the world, some of which have already rejected many of Apple's claims. Samsung will continue to innovate and offer choices for the consumer." I'm appalled by this. We all knew that Samsung was copying Apple, but that's not the point. What I'm appalled by is that it is now illegal for more than two people to come up with the same idea. The things that Apple has highlighted are not inventions. It's simply solutions to common problems. Like the tap-to-zoom. That's not an invention. That's what we do when we use touch. You see something; you want to look at it; so you tap on it. Did Apple make it first? Maybe. But look at the behavior of a toddler when they see something. What do they do? Yep, they tap on it. It's not an invention. It's normal human behavior. The idea that one company can own non-inventions is absolutely appalling to me. Another example. Apple apparently holds the patent for click-to-call. Meaning that if you see a phone number, you can click on it, and it will call that number. I'm sorry Apple, but I came up with that idea before you created the iPhone. A friend of mine and I were working on a custom browser, and we needed it to be able to access resources outside the browser itself. So we implemented a special protocol that, once called, would open the external app with the command supplied with it. This way, we could match any string using Regex, and assign the result to an action outside the browser. And that is exactly how click-to-call works. Why didn't I patent it? Well, because it's not an invention. All I did was to find a solution to a problem. If you had the same problem you would have found the same solution. I didn't invent anything. I only looked at what we had and said "hmmm ...we need to be able to click on that..."
The idea that one company can own a solution to a problem is absolutely insane. It's the same with Amazon's one-click patent. That's not an invention either. That is a person noticing that more clicks lead to a lower conversion rate, so..."hmmm ...maybe if we make it one-click we would sell more?" Amazon didn't invent anything. They just solved a common problem, but now, because of the idiotic patent system, they can claim to own that solution - despite the fact that many people are coming up with the same solution to the same problem. Someone actually owns the patent for this. Changing the color of a LED light upon login. That's not an invention. That's one line of code that everyone would make if they tried to solve that problem. Apple is really good at finding solutions to problems. I wrote about this in"Apple Never Designed the iPad - They Undesigned it" ...but that doesn't mean they invented anything. Samsung obviously copied Apple, we all know that, and I don't have a problem with Samsung getting slammed for not thinking for themselves ...they deserve it. The problem is that this case legitimizes the patent system. It proves to the world that Apple (and other companies) can own ideas and solutions that other people would come up with as well. We cannot have a world where one company can say, "I'm the only one who is allowed to have the solution for this common problem" (like with Amazon one-click, or Apple tap-to-zoom). If you ask 100 people to solve a problem, many of them are bound to come up with the same solution. Saying that only one of them is allowed to own it is just insane. As Nilay Patel, from the Verge said "In the long term, we're sure to see lots of UI behaviors change across Android - most companies have already moved away from the bounceback scrolling behavior protected by the Apple patent in this case, and we're sure to see tap-to-zoom and multitouch scrolling behavior affected on new devices as well. We're also sure to see new handsets adopt highly differentiated designs, as Apple has proven both its design patent and trade dress claims are strong enough to persuade a jury." One might think that this will be the beginning of the end for the US patent system, but it's not. Apple is a highly profitable US business, while Samsung is one of those foreign ones. In the minds every member of congress, the patent system is protecting US interest against those pesky outsiders. And that's what the President and the politicians see as their most important job. To protect the interests of the US against the alien invaders. They have no reason to change the system. Head over to my G+ post to discuss and comment. 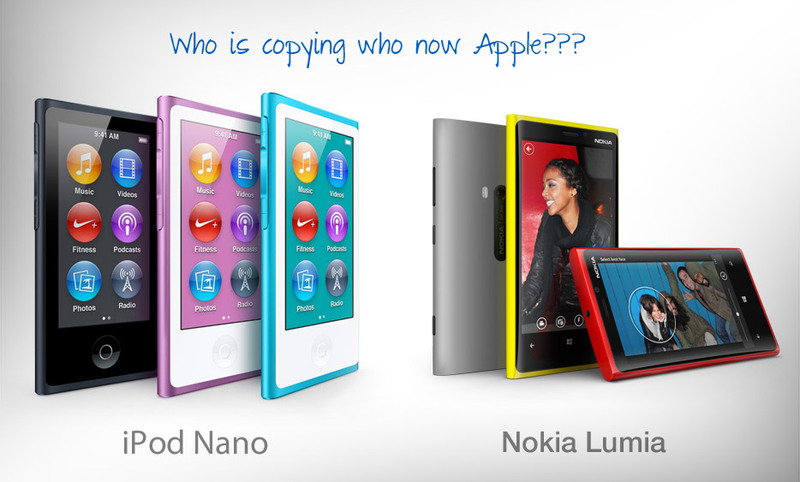 Update: Apple just announced the new iPod Nano ...which is a completely design ripoff of the Nokia Lumia. Remember, Apple said: "We applaud the court for finding Samsung's behavior willful and for sending a loud and clear message that stealing isn't right."